In April 1943, German authorities claimed that they had found the bodies of more than 4,000 Polish prisoners of war buried near Katyn, in the Western Soviet Union. The Polish exile government in London agreed with the Germans. 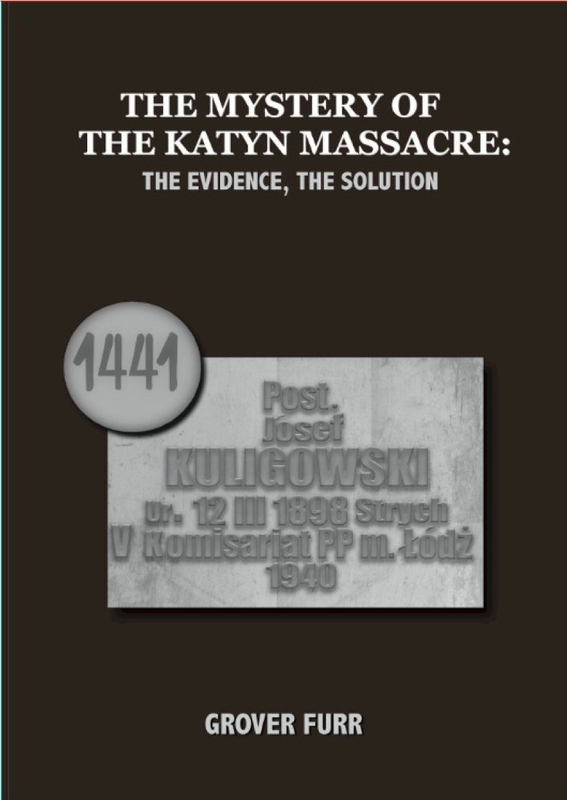 In January, 1944, Soviet authorities issued a report claiming that the Germans had murdered the Polish POWs. In 1990-92 Soviet, then Russian authorities agreed that the Soviets were indeed the guilty party. But by 2010 serious evidence had been discovered that cast doubt on Soviet guilt. There has never been an objective, thorough study of this mystery – until now. All mainstream accounts blame the USSR – Stalin – for the deaths, while all the evidence points in the opposite direction. Grover Furr has identified, obtained, and studied all the evidence, and has also studied all the supposedly “authoritative” scholarly accounts of Katyn, with skill and – what is most important – with objectivity. In this book he lays out the evidence and solves this mystery for once and for all.